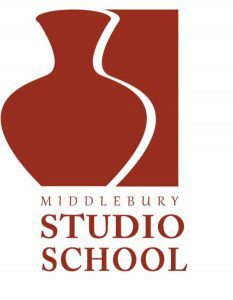 This demo will highlight the hands-on techniques Don will be teaching in his upcoming studio classes at the Middlebury Studio School. Don will be showing several “Terracotta” methods of sculpting with clay that make it possible to fire the resulting pieces when completed or use such a piece as a pattern for making a mold and subsequently casting it in clay, plaster or other media. In addition, he will be showing how to make and use a basic armature for modeling sculptural works in either water clay or non-drying plastilene along with examples of his own work cast in clay, plaster, cast stone, and bronze. Don Perdue presently has works being exhibited in the Annual Holiday group show at the Jackson Gallery at Town Hall Theater and recently participated in the Town Hall Theater’s Great Cherry Woodcraft Exhibit last October with his Summer Sylph cherry wood assemblage/carving. Don’s work has been exhibited in art centers, galleries, museums, and is included in private and public collections. In addition, he has made a variety of commissioned pieces ranging from portraits, to large outdoor site-specific pieces, to editioning a half life-sized Canada Goose in Flight series of bronze castings in cooperation with the National Audubon Society.